Didn't make it to Google I/O? 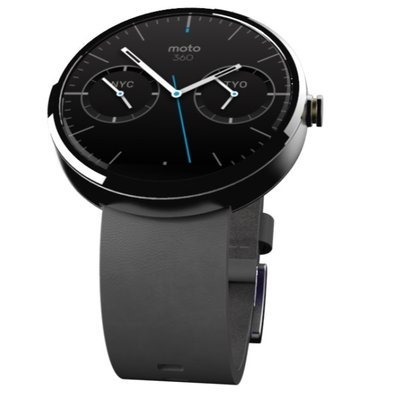 Well, Motorola wants you to get a closer look at the Moto 360 smart watch anyway. In a two minute video demo, we get to see a few watch faces, notifications, and more. Of particular interest in this video is the way the display works. When not in use, the Moto 360 display appears to be on, but very dim. So you'd be able to look at your wrist and see the time without touching it. To wake the display, simply press the button on the side or tap the screen. It's not clear from the video if the display will be completely off when you arm is at your side, but that has been the belief recently. The Moto 360 will come with a selection of round watch faces, and the company plans to roll out more after release. That Face-Off contest winner may be among them. The rest of the Moto 360 experience is what we expect from Android Wear. There are cards, notifications, and voice commands. Neat stuff. You can still cancel your G Watch and Gear Live preorders, you know.